There is a 20 MB limit on the maximum attachment size in Outlook mail client (including the latest 2010 / 2013 versions). 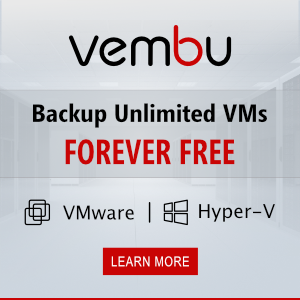 It doesn’t matter if a single large file or several small ones are attached — the total attachment size would not exceed 20 MB. If your mail server and the recipient’s server supports a larger size of message attachments, you can increase this limit in Outlook. 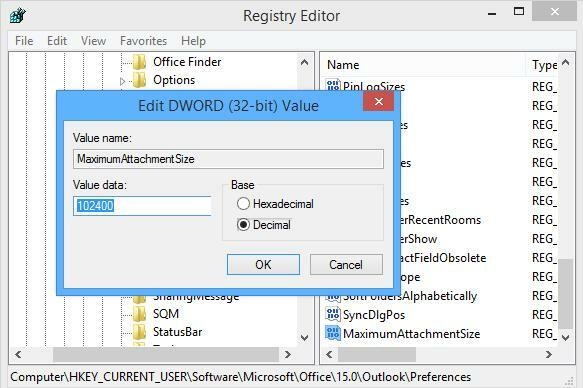 You can the maximum size of attachments in Outlook only through the registry. 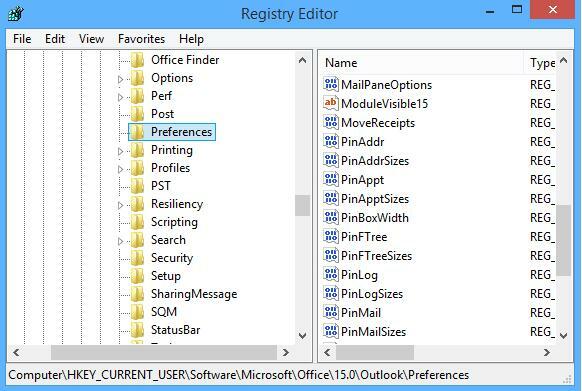 There is no such setting in the Outlook GUI. In this branch find and edit MaximumAttachmentSize value, specifying the new attachment limit, e.g., 102400 (100 MB). By default, it is 20 MB (20480 KB). To completely disable the limit, change this value to 0. 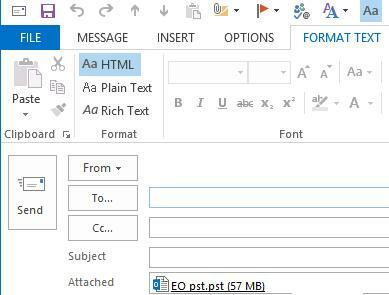 After the changes are made, you can attach larger files to your letters in Outlook (in our example, we have attached a 58 MB PST file).